Serviced apartments focuses on peace of mind, surrounded by modern day conveniences in Seri Kembangan. 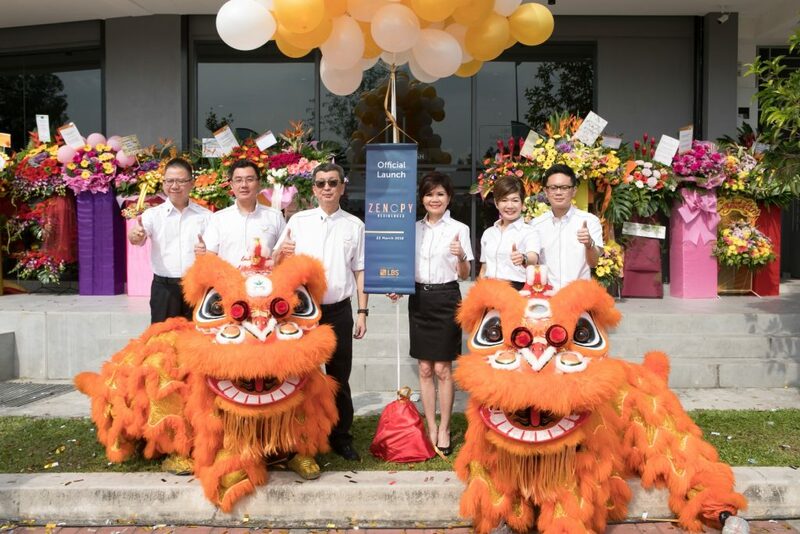 22 March, SERI KEMBANGAN – Award winning township developer, LBS Bina Group Berhad (LBS) has unveiled its latest development, Zenopy Residences. 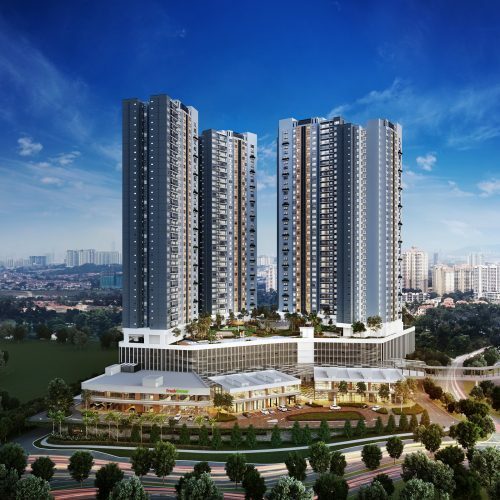 Located in Seri Kembangan, Zenopy Residences is a 32-storey mixed development featuring serviced apartments and retail units with a GDV of RM312 million. “Zenopy Residences is coined from the words ‘Zen’ and ‘Canopy’. ‘Zen’ refers to the wellbeing of mind and body, while ‘Canopy’ is a shelter by definition. This perfectly describes an ideal home. 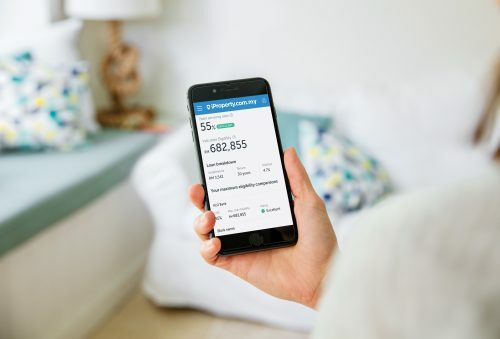 We are very happy to launch Zenopy Residences which combines value-added features, with connectivity and affordability. 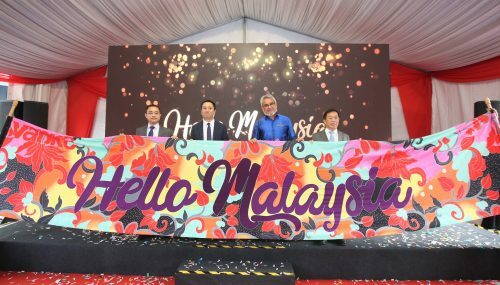 These key pillars are what home buyers want and we believe this will drive positive up-take for Zenopy Residences,” said LBS Group Managing Director, Tan Sri Lim Hock San. Located on a 4.687 acre piece of land, Zenopy Residences features low density floors of no more than 17 units on each level served by six elevators. Poised to be a self-sufficient development, Zenopy Residences houses 398 serviced residential units complemented by 51 commercial shop units and 23 affordable shop units. Today’s home buyers are more discerning and appreciate developments capable of offering added-value. 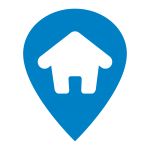 Taking this trend into consideration, LBS created Zenopy Residences as an investment for peace of mind. Affordably priced from RM413,000*, the service residence features unique design layouts with built-up areas ranging from 823 sq ft to 2,031sf. Units with a built up area of 1,012 sq ft feature a spacious layout of three bedrooms, two bathrooms, a dining and living room. Families favouring larger units can opt for a built up area of 1,128 sq ft which features a similar layout with an additional utility room. Catering to young modern families, both options (1,012 sq ft and 1,128 sq ft) also feature a yard area for residents to enjoy the impressive city skyline view. Type C units have a built up area of 823 sq ft and features a cosy layout of two bedrooms, a bathroom, dining and living room as well as a yard area. Empowering home buyers to adopt a balanced lifestyle, Zenopy Residences incorporates over 40 facilities built into the development and suited to a myriad of lifestyle needs. Key facilities include a 360m jogging track, gym corner, tennis and badminton courts for those who enjoy an active lifestyle. For residents who prefer mobility at a relaxed pace, the development features a wading pool, sauna and physiotherapy gym. Entertaining is fuss-free with the availability of purposefully-designed spaces such as a garden dining, function room, canopy feature gazebo and Skylounge. Upon venturing beyond the boundaries of Zenopy Residences, residents will find that the development surrounded by numerous options covering retail and public facilities within a five kilometre radius. Zenopy Residences is located 5 km from shopping malls, retail outlets and hypermarkets, 4 km from prestigious educational institutions like the Alice Smith International School and Universiti Putra Malaysia (UPM), and within close proximity to parks like the Puncak Jalil Recreational Park and petting zoos like Farm in the City. Residents will also benefit from the upcoming MRT stations namely, the Equine Park Station and Taman Putra Permai Station. Zenopy Residences fulfils the final checkbox for an ideal home with its connectivity via major links, namely the Lebuhraya Damansara Puchong (LDP), MEX and SKVE Expressway. 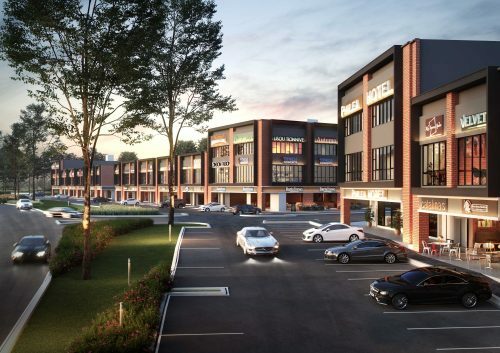 Connected to a highly convenient and established road network, it is a mere 10 minutes to Serdang town, 15 minutes to Bukit Jalil and Puchong town, 20 minutes to Putrajaya, Cyberjaya and Subang and 30 minutes to the Kuala Lumpur International Airport. For more information on Zenopy Residences, kindly visit www.lbs.com.my or call 1700-81-8998.